Should Zika Be of Concern to Me? Some people with this virus report no symptoms. However, other have experienced mild fevers, rashes, joint pain, headaches, red eyes (conjunctivitis), and general feelings of discomfort. After you are bitten by an infected mosquito, these symptoms can take anywhere between 2 to 7 days to be noticeable. While the aforementioned symptoms may not seem too severe, Zika can cause other, more harmful conditions, like microcephaly. Microcephaly is a concern especially for women who are trying to become or are already pregnant. It is a potentially fatal congenital brain condition that would be seen in the infant child of a mother who had contracted Zika during her pregnancy. 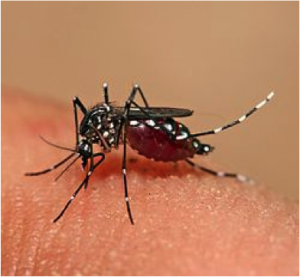 While the first Zika virus was found in the Zika Valley in Africa in 1947, recent outbreaks of this virus have been reported in Puerto Rico in 2015 and in South Florida in August of 2016. Though it seems scary, the Zika virus really isn’t hard to avoid. The Centers for Disease Control and Prevention (CDC) discourages anyone, especially pregnant women, from travelling to areas where there is an outbreak of Zika. If you must travel to one of these areas, make sure you use insect repellent containing DEET or picaridin, wear long sleeves and pants treated with permethrin, and stay indoors as much as possible. Even if you do contract Zika, you can explect a full recovery within about a week. Here at Alpha Care, we care about your health and want to help with any problems you may have. Alpha Care’s friendly team is available for same day appointments in each of our four locations. No referrals are needed to make an appointment at Alpha Care. Find your new doctor at one of our four convenient locations or call us today at (843) 824-2273.